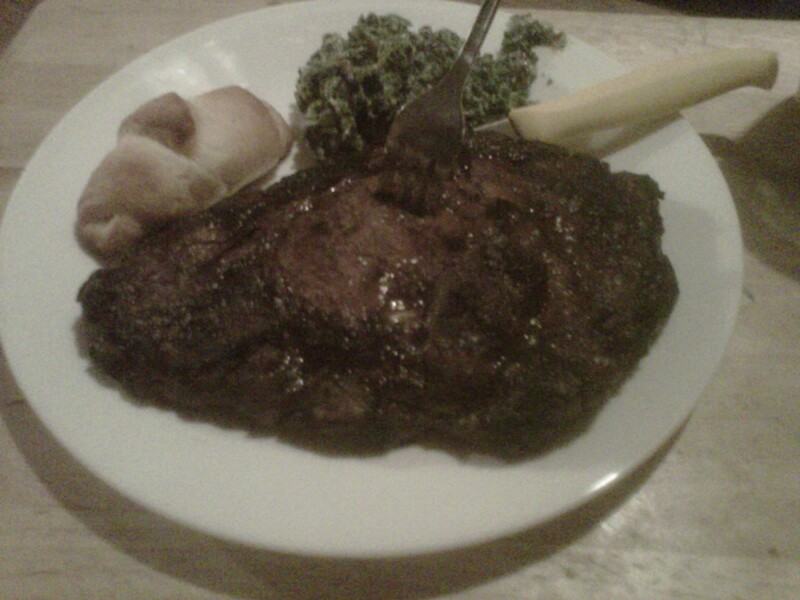 Always Think Bigger: Last nite's Dinner! Last nite's dinner was so tasty!!!! Geoff grilled the most incredible steaks IN THE SNOW! I made spinach casserole and rolls. The rolls unfortunately got burned. The spinach however, turned out GREAT! Ok, good nite all...school tomorrow, then the weekend....for more cleaning!! !